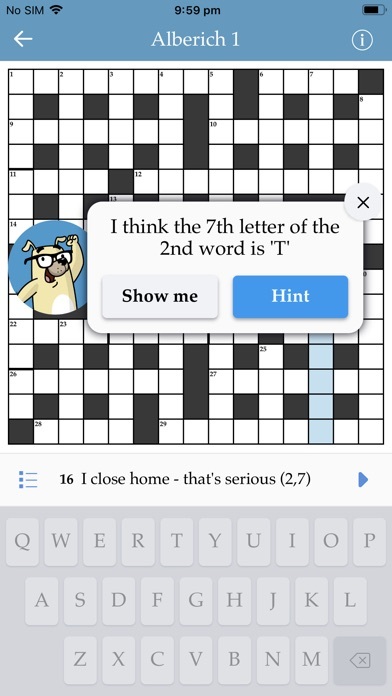 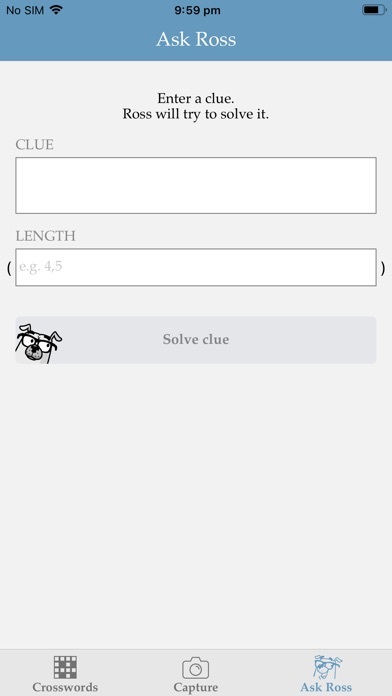 Enjoy Cryptic Crosswords anywhere The app allows you to enjoy cryptic crosswords on your phone solving challenging puzzles wherever you are. Meet Ross – always on hand to help An innovative feature is the inclusion of a fun assistant called Ross who is always on hand to explain how a clue works or give you hints when you are stuck. 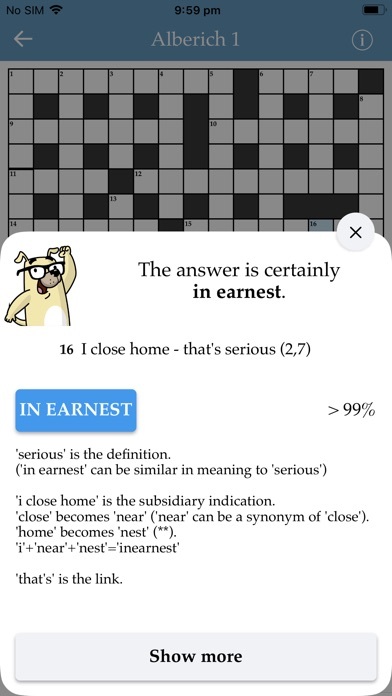 Ross uses artificial intelligence to do this – the only AI that can tackle cryptic crossword clues. 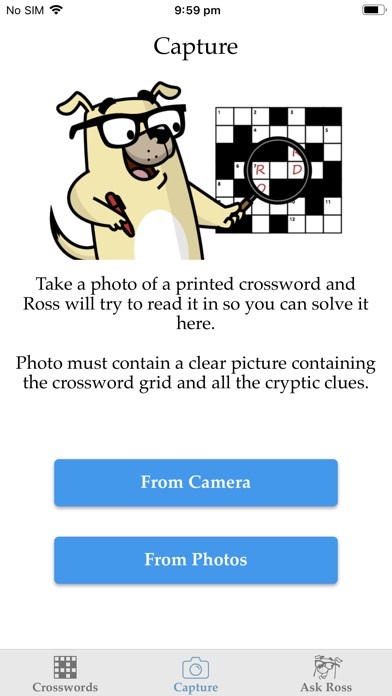 This includes clues that Ross has never seen before. 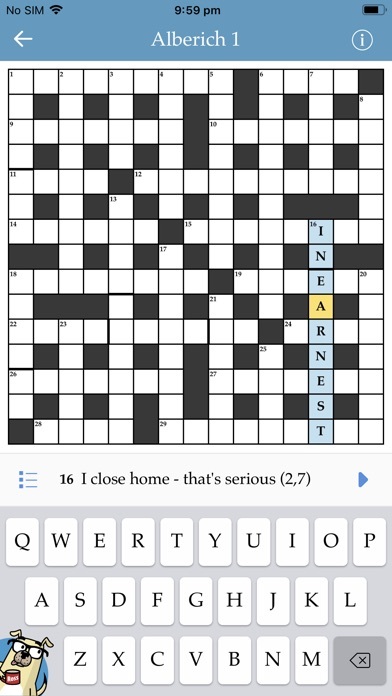 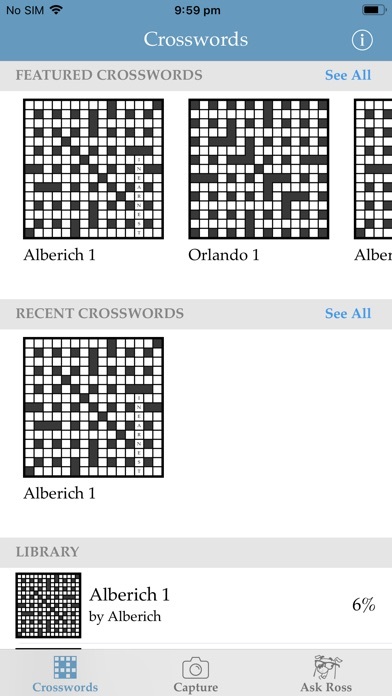 Load newspaper crosswords straight into your phone Another innovative feature is the scan feature: point your phone camera at a printed crossword – such as what you might find in a daily newspaper – and Ross will use modern machine vision techniques to read in the grid and clues so you can solve the crossword on your phone.